1. The first car I bought was purple Pontiac Sunfire. 2. I happen to be afraid of anything that creeps and/or crawls. 3. I’m a recovering perfectionist. 4. I absolutely love books and I can speed hours browsing in a bookstore. Speaking of books, my new favorite thing is swapping books via paperbackswap. 5. I love Tex-Mex food. 7. Never thought I’d own a dog but I’ve been sharing my place with Bella, my furbaby I adopted from a shelter, for almost two years now. Well that’s a pretty random view of me. 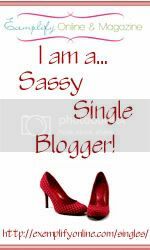 Find other single, sassy bloggers and join the fun here. Furry babies are fabulous. They help when you are lonely. Tex-mex yum. I want to go to Texas and try some authentic goodness. A purple car? LOVE it. And my fave from B&BW is Butterfly Flower….I use to love Gardenia but sadly they took it away. Thank for joining us today Wanda! I love learning more about you beautiful ladies. Thanks for stopping by, Wanda! That is so cool that you had a Pontiac as your first car! 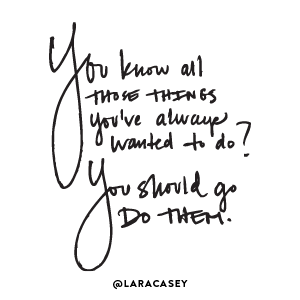 I did, too! But mine was a Grandam and a pain to fix! My favorite B&B Works scent is Enchanted Orchid but they discontinued it. So, now I am starting to fall for Twilight Woods! I love these random fact things that people do! You learn so much cool stuff that normally wouldn't come up in conversation! So cool! I think you inspired me to do one of these soon. hey sis, love the photo and the verse. that made me smile. what are you recovering toooo??? Thanks for stopping by my blog earlier! I love your layout…very chic! It's always nice to know personal little things about the people who write my favorite blogs! Thanks for sharing! Critty, it was my pleasure. Sorry I missed it last month. Alyssa, my sunfire ending up being a pain. ModernDayDrifter, I'd be interested to see yours. Bud, lol…I'm recovering to peace in Christ. I never realized how up tight trying to be/do perfect made me but as I'm learning to relax more Him I feel more at peace.